There is nothing worse than a pest problem. Whether it’s domestic or commercial, if you have unwanted pests infesting your property, it can cause a significant amount of stress. You, one of your family members or an employee might suffer from a specific phobia which can be triggered by this infestation, causing an awful lot of trauma. And of course, the detriment that certain pests can have to your health is certainly not to be understated! For example, there are many devastating diseases which are carried by rodents, which is why you must always take care and call for the expert pest control services immediately. Then of course there is the damage that can be caused to the structural integrity of your property. Whatever the case, if you have any suspicions that you might have an infestation, well, you know what to do. For the sake of keeping things simple, we’re going to focus on pest control in a commercial environment and the benefits of using organic pest control in that setting. Now, as a business owner, you have a duty of care to your employees and your local environment. Not only should you strive to maintain a healthy, safe and comfortable workplace, – but you should also endeavour to reduce your carbon footprint. 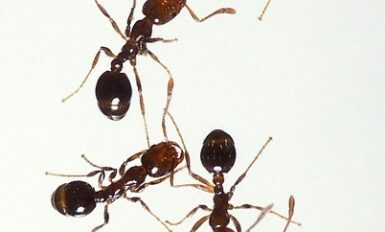 If these are things that you are conscious of, then organic pest control is certainly for you. Using traditional pest control methods in a commercial environment is not an ideal way to go. This is because toxic pesticides can leave stains, discolouration and a terrible smell that can linger for days. This can make your employees feel very uncomfortable and will invariably disrupt the flow of your business operations. If you opt for organic pest control on the other hand, the commercial services expert will use methods and treatments that have a non-intrusive effect on the environment. They will use effective methods that can successfully rid your commercial property of pests, without leaving a lingering smell or any harmful chemicals that could potentially cause sickness or irritation. So, to summarise; what are the key benefits of using organic pest control methods? What you don’t want to do is provide rodents and roaches with a water source. In areas like under a kitchen sink or in bathrooms, you might find the occasional leak and damp patches. What you should do is endeavour to have any leaky pipes fixed and to create a dry and hygienic environment. This is the big one, because pests absolutely love a good mess. Don’t give them a place to hide or supply them with the materials that they need to start building a nest. It’s easy for shreds of paper to build up behind certain counters and cabinets. The best thing to do is to have a regular clear out with your employees. This is a great opportunity to create a much cleaner, comfortable and productive environment. 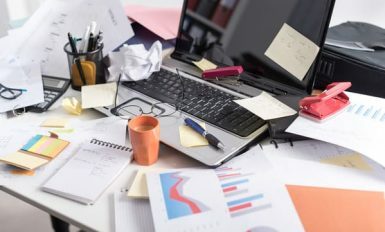 As it turns out, not only is a cluttered area a breeding ground for pests, but it’s also a great way to make your employees feel anxious and stressed. De-clutter your lives and you’ll be free of any pesky pests as well. A spring clean isn’t just about getting rid of all of your waste clutter and old documents. It’s about scrubbing down surfaces thoroughly. If you have a kitchenette and bathroom area in your office or premises, you must ensure that these are kept in a clean state at all times. Put signs out to encourage people to clean up after themselves properly. Don’t allow your employees to leave food scraps lying around and encourage that they put them in the bin. It shouldn’t take much to get everyone on board. You should take a look around your premises and look for any areas where pests might be able to fight their way in. Something as simple as putting wire mesh over an extractor fan make all the difference. Look for cracks between window frames and walls and so on. You can use Polyfilla to seal them shut which will significantly reduce the amount of entry points that those pests have into your office. The main reason for using organic pest control treatments in commercial services is doing right by your employees and customers. You want to carry out the least impactful treatments, without compromising on the effect. So, you want to get rid of the pests successfully, but not to the detriment of anyone that will come into contact with your premises after the treatment takes place. If you have a store where you regularly have children coming through, toxic treatments are an absolute no-no. In addition to that it’s a great way of preserving your reputation and demonstrating that your business is serious about taking care of the environment by always opting for the least impactful solutions. If you’re interested in exploring our services further and if you have any questions regarding our organic pest control treatments; please feel free to contact us at your convenience.